Her friends, family, and mentors described Horowitz as "visually inspired," "an explorer and creator of worlds," and filled with "enormous zest for life." 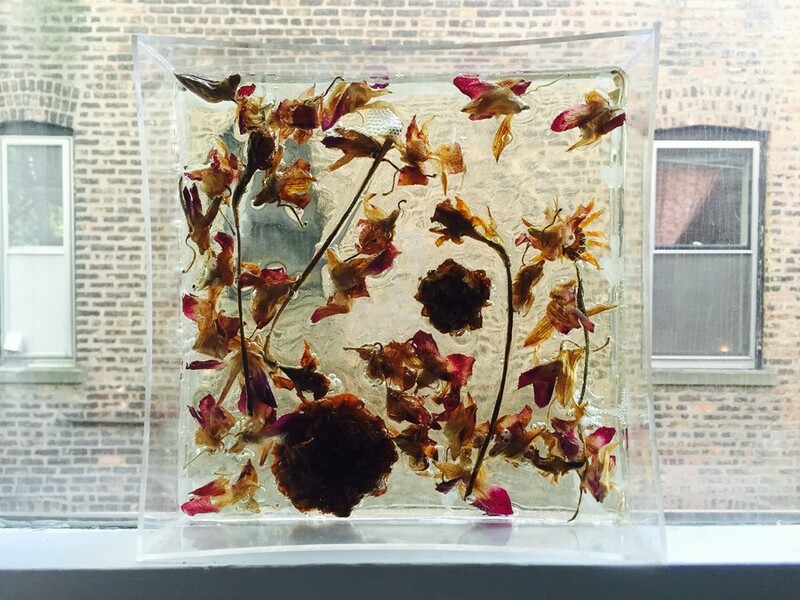 For a class project, Renata created a plexiglass crypt for flowers that represented relationships with people close to her. University of Chicago’s artists, activists, and student body suffered a loss with the passing of fourth-year Renata Gross Horowitz last month. Her family, friends, and mentors remember her as a dedicated student with a passion for creating, leading, and sharing. Horowitz majored in interdisciplinary studies in the humanities and had been working on her B.A. thesis about PTSD, mental illness, and de-stigmatization. She had been working on a documentary about the experiences of UChicago students admitted to Lakeshore Psychiatric Hospital. She also worked at the Logan Center, helping to create a documentary about the UChicago music collective Contempo and to coordinate the performance of a Chinese opera troupe during the Envisioning China Festival. Horowitz passed away from injuries sustained during a car crash in South Dakota over spring break at the age of 21, according to an e-mail sent by Dean of Students in the College Jay Ellison. “She spoke so awesomely in front of the crowd about what she was ‘sorry not sorry’ for—what she was tired of apologizing for. She said she was tired of apologizing for having a healthy relationship with her body, for any sense of genuine nakedness being misconstrued as sexualization, for any genuine sexuality being misconstrued as dirty,” Torem said. “To know her was to be in awe, to have a relationship with her is to feel a love and support that is very hard to find in humans,” friend Matt Gottesfeld wrote in an e-mail. Members of the campus community also remembered Horowitz fondly. Berlant said she first taught Renata in a class called “Queer Arts after Stonewall” last fall. For a class project, Renata created a plexiglass crypt for flowers that represented relationships with people close to her, from her father to her friends. “Renata glossed the sculpture in an essay about poison and mood, touch and abstraction. It closed with these sentences. ‘19. The plexi exterior has not been completely filled; I hope to continue filling it. Though, I have a tendency to over-do. ; 20. The exterior world when seen through apoxy-resin becomes matted and blurred—like the softest, warmest pixelization,’” Berlant wrote in an e-mail. “As an artist and student intern, Renata’s exceptional ability to accomplish almost any task with warmth and creativity contributed greatly to the artistic community at the Logan Center and throughout the University,” Bill Michel, executive director of the Logan Center, said. Horowitz was deeply engaged in community activism outside of the University. She worked with a new non-profit called Memoirs of Blacks in Ballet, dedicated to providing opportunities for young black dancers. Last summer, she interned at Lawyers for Children in New York City, pursuing change at the intersection of the legal, mental health, and child protection systems. “The world really lost an advocate for human beings and a fun and spirited and really open person,” Torem said. Services for Horowitz were held in New York City on April 12. On Sunday, May 15, the College will be holding a reception for the family, colleagues, and friends of Horowitz in the South Lounge of Reynolds Club from 3:30 to 5:30 p.m. Her father and stepmother will be present, according to an announcement from Ellison.